If you're drinking healthy coffee! That is actually Good For You !!! The Secret Herb of Asia - has finally arrived in America!! Ganoderma is also in a capsule form. 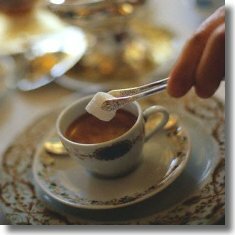 You may already be an avid coffee lover... but the fears of the degenerative and controversial effects of coffee on the human body makes that cup of coffee not quite as enjoyable as it should. Those days are finally over! Introducing a perfect blending of the rich flavorful, high-quality robust Brazilian coffee beans with the powerful Ganoderma Lucidum extract regarded by the Chinese as the 'Miraculous King of Herbs'. Ganoderma Lucidum is reported to be able to improve the body�s healing ability, maintain a healthy body and to promote longevity. It's properties to strengthen the immune system are also well identified. 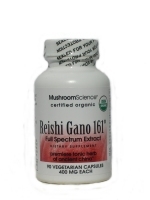 Ganoderma Lucidum is also known by the names Reishi (Rei shi) or Ling zhi. This amazing Chinese Herb has even been recognized and endorsed by the American Herbal Pharmacopoeia Society. Many ailments can be caused by the imbalance of natural body functions due to the accumulation of toxins in the body. Ganoderma Lucidum helps the body remove the build-up of toxins and allows the body�s natural immune system to strengthen itself. The reports of the positive effects of this powerful herb are numerous and documented in both modern scientific research and through literally thousands of years of use. Approximately 200 clinical studies on Ganoderma Lucidum have been documented and published by Pub Med on the effects and usage of Ganoderma Lucidum. To view these studies simply click on this Pub Med link, and then key in 'Ganoderma Lucidum' in the search text box. Ganoderma Lucidum provides the 'caffeine' jumpstart you expect... without the caffeine!! Ganoderma coffees and beverages give you an energy boost that lasts for hours - not from caffeine, but from the ancient healthy ingredient Ganoderma Lucidum, revered for centuries for it's amazing rejuvenating properties. "I lost about 5 pounds in the first 3 days after just drinking the coffee. I didn�t have any pills at all. I just was brought some samples and started drinking it and noticed that. And I know I�ve had a lot more energy and just want to talk about all of the different uses of the coffee. We�re so excited and my husband�s loving it. He is a heavy duty coffee drinker and he was a little skeptical at first. He drank the coffee and loved it. He said it tastes like it�s just been brewed. He�s lost weight too." "The Gano Chocolate is absolutely wonderful. I just love chocolate and have tried many different brands of hot chocolate beverages, including many international products. This is as good as my favorite German blends. With Gano Chocolate, not only am I drinking the best tasting hot chocolate in the world, but it's also healthy too. Thank you so much!" Enjoy the coffee you love... without sacrificing any of the great taste you expect... with the added benefits of the most powerful health-beneficial ingredient from ancient Chinese herbology. Each of the following selections include the revered, powerful Ganoderma Lucidum extract regarded by the Chinese as the 'Miraculous King of Herbs'. Ganoderma is reported to be able to improve the body�s healing ability, maintain a healthy body and promote longevity. If you're going to drink coffee... why not drink healthy coffee? Ganoderma 4-in-1 is a nutritious healthy beverage made from Ganoderma extract, premium Brazilian coffee, non-dairy creamer, and pure refined sugar. Enjoy this rich robust blend, pre-mixed with non-dairy creamer and sugar, harmonized to the ultimate flavor perfection; the sensational coffee taste experience. The focus of Traditional Chinese Medicine is on actively promoting good health and prevention. Ganoderma Lucidum (Reishi) is one of the most highly regarded herbs for this purpose and the mushroom most often used as a general health tonic. Modern clinical research also supports many of the uses for this mushroom as described in traditional medicine. It benefits immune health, cardiovascular health, and liver function. With a guaranteed minimum potency of 12% polysaccaride and 5% triterpenes, our Reishi exceeds the quality of any Ganoderma Lucidum extract now available on the market. 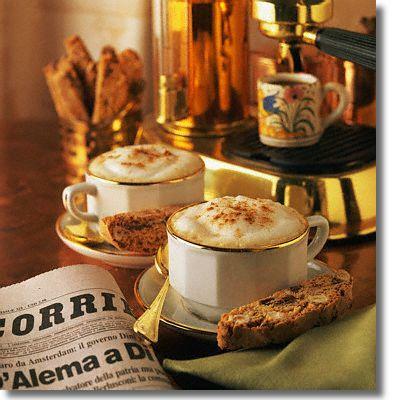 In modern times, hot beverages have become an integral part of many cultures and in individual's lives. In fact with the advent of modern times, communication and commerce between nations and peoples has enabled the sharing of cultural pastimes, often enjoyed around the dinner table. Among this, the enjoyment of coffee and tea have become the staple of family and friend gatherings, as well as for personal quiet times. Why not make these flavorful times of enjoyment also opportunities for health enrichment and well-being! The Secret of Asia - has finally arrived in America!! 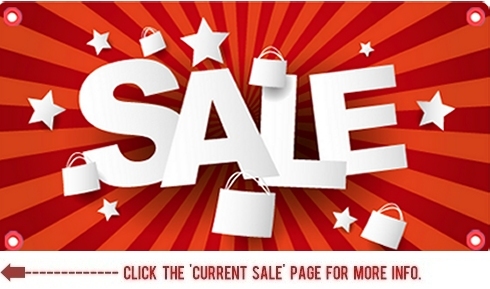 Click to view shopping cart or check out through our on-line store!